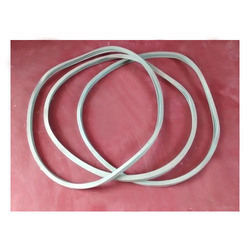 Enriched by our vast industrial experience in this business, we are involved in offering an enormous quality range of Filter Gasket(Softflow Dyeing Filter Gasket). We are manufacturer and supplier of Air Filter Rubber Gasket. Which is manufactured using various grades of material such as NBR, HNBR, EPDM, CR, Viton, Silicon, AFLAS and Polyacrylic. We offer Gaskets and 'O' Rings in various materials such as Silicone, Viton, EPDM, Neoprene, Teflon, Buna N etc. for Filter Housings and Filter Cartridges. Gaskets, Filters and Candle core provided by us are largely used in various industries in different processes and purposes. With hard-earned experience of our adept professionals, we manufacture a broad range of Filter Rubber Gasket. We also supply all types of gaskets used in filter housings , valves and filter cartridges . We all supply special type of “O rings in Viton, EPDM, Silicone, PTFE etc. - The Filters are manufactured as per design of the customer depending upon the application area. - Round, Half Round, Oval and Rectangular, Spin Pack Filters, Loose Filters are being manufactured in Paper Machine Wire Industries since last five years. 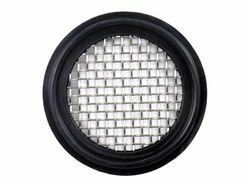 - Spot welded Filters with accurate Concentricity is the specialty. For four wheeler and two wheeler filter.